One in ten person in the world does not have access to water. Drought, poverty, rapid growth of population, and pollution threaten clean water resources. Epidemic are on the rise in our planet where millions of people do not have access to clean water. If we fail to take affirmative and sustainable action against diminishing water resources the risks threatening human lives are going to grow bigger. IHH has so far opened 7.202 wells in 36 countries. We are working to help people, who have problems having access to clean. Opening wells in the areas of need comes at the top of our relief operations to this end. Commissioning to open a water-well costs 4.500 USD. Specialized water wells are constructed in areas where a simple well will not do as the local population’s need for water is higher. These wells often are built featuring a storeroom, equipment, other gadgets, carrier engines and similar mechanicals. They meet the demands for water for an orphanage bathroom, or fountain of a mosque, or watering an agricultural land and other needs. They are built to make sure the water demand in the area is met at once and altogether. The specialized water wells’ cost varies according to the local situation. However they are among the most needed projects. How much a standard well costs? 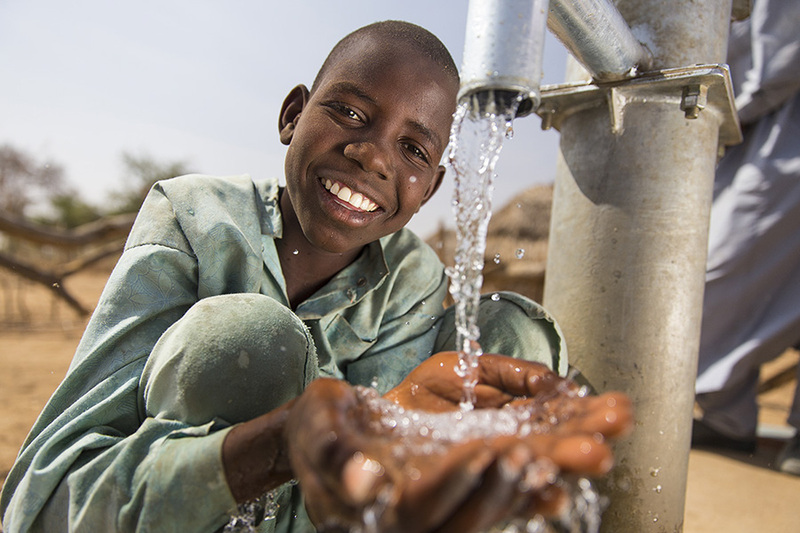 A donor can commission a water well of regular standards for the fixed price of 4.500 USD. Apart from standard ones, we give quotes for wells especially specialized wells depending on the project. IHH carries out construction and maintenance of donated wells in Chad, Ghana, Sierra Leone, Kenya, Sudan, Tanzania, Afghanistan, Ethiopia and Burkina Faso. However IHH identifies the countries to open wells based on the needs and demands of the local communities. Therefore project countries and regions may change time to time. Please get in touch with IHH Water Well Office before you make up your mind about the country of your choice for donating for opening a well. The execution of projects for construction of standard wells takes six to twelve months in African and Asian countries. Our teams follow up and regularly check the wells that are constructed with your donations. A person is appointed as contact in the area of the well for emergency situations and any problems related to the well. If any problems are identified in regular checks or the well breaks down during two years after it was opened IHH covers the cost of repair. IHH draws up a separate project to carry out the repair of wells 2 years or older, and incurs the costs as well. A water sample is taken for analysis from each well opened in order to confirm that is free of chemicals like arsenic and cyanide and will not cause any health problems at all. The water samples are analysed in specialized laboratories. According to the lab reports on water the well is opened to the public. At the beginning of each calendar year IHH identifies the areas where wells are needed and how many should open. Based on the allocated quotes the wells are opened in 20 or 40 at a time on a periodic basis. The wells are built under the supervision of the experts from the region who make sure the standards are met. Our teams travel to the area to check the well that is completed and inspect the situation of the facility. When the construction is completed we open the wells. Digging and drilling in the wells under construction are monitored and inspected. The needs of the local community are reviewed and the place of a new well is decided accordingly. You can come together with your family or friends or relatives to raise funds to donate for opening a well or donate to the funds allocated for opening, repairing, and refurbishing. You can also contribute to the purchase of power generators; water channels, storage and equipment to this end hence help our Muslim brothers have access to clean water.